Welcome to Sea of Serenity.net! As of November 11th, 2013, we are officially open! The most significant of these is Summer 1999 which has never been translated before. The purpose of these new translations will be to give SeraMyu a consistent style of translation, with so many different translators over the years, there has never been a consistent style and musicals can be come more difficult to discuss. We intend to translate all 26 recorded shows. 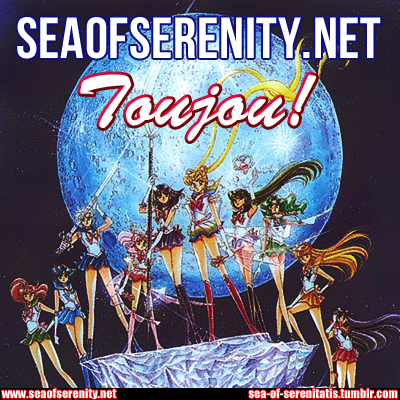 That is not to say SeaofSerenity will be a primary translation or download site. We will be primarily focused on Sailor Moon discussion and information with the likes of character profiles, episode guides and essays. However we will be making our debut with Musical Translations. SeaofSerenity.net is a work in progress so please bear with us! We will be adding content to the site as often as possible so keep checking back!